For those of us born into Generation X, the earliest living memory of a family member we’ve likely been exposed to might stretch as far back as Prohibition, or the Great War, or maybe, for the older members of our generation, childhood memories of the Spanish-American War. I write a local history column for the Billerica Minuteman. In my research, I came across some living memory cassette tape recordings at the Billerica Public Library that date from the 1970’s. But even these memories, from Billerica’s oldest residents of the 1970’s, date to the late 1890’s at the earliest. What is harder to uncover is the living memory of generations that we haven’t met. 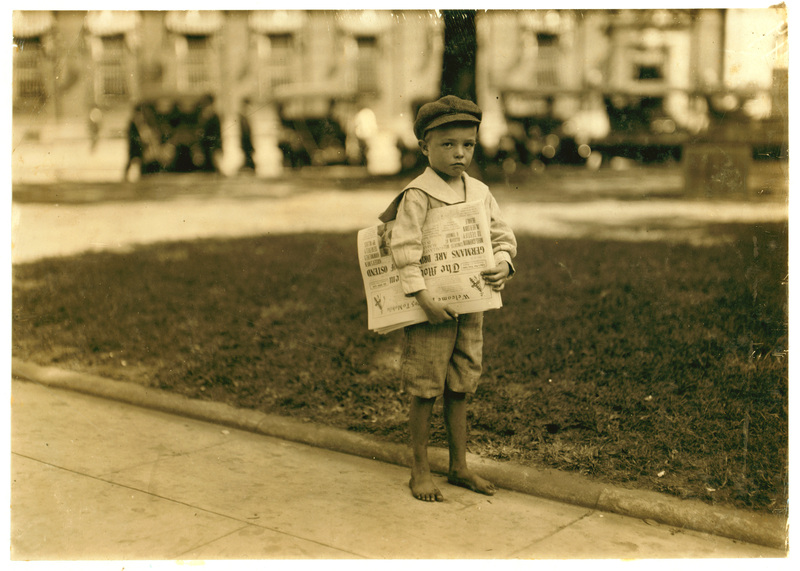 When you uncover photographs of your grandfather as a child, what sorts of stories would he have heard from the oldest members of his family? As a family historian, I’ve come across lots of stories and artifacts passed down various branches of my family tree. I often examine and ponder the Victorian-style trunk that carried my great-grandmother’s belongings to Boston when she was a young woman arriving from the Azores in 1907. And, I’m fascinated to flip through the pages of a yellowed diary that my 2nd-great-grandfather purchased in Manchester, England, before boarding a ship that took him to the United States in 1869. Inside, the most prominent yellowed page records, in his eloquent 19th-century handwriting, the date of his arrival in Boston: July 25, 1869. In genealogy, the holy grail is anything that helps us lay flesh upon the bones of the names, dates, and dry, yellowed records of the ancestors we are researching. Sometimes, this takes the form of a treasured possession, or a diary, or a set of letters. But, when these haven’t survived, the next best thing is the living memories of our ancestor’s contemporaries. The trick is to find an author who has a lot in common with your ancestor – one who lived in the same area or performed the same occupation. The history of my family has deep roots in Lowell, Massachusetts. Five consecutive generations of my family have been born there. So, naturally, I voraciously seek out any living memories of Lowell that have been preserved and that offer a window into the world my ancestors saw, felt, and experienced as they walked the streets of that long-ago Lowell. The other day, I came across a fascinating article in an 1893 edition of the Lowell Sun, recounting the memories of a coal yard employee who spoke with the reporter about his memories of the city in the pre-Civil War era. The article celebrates Belvidere resident Michael Moran’s 50 years of service in the coal yards of William Kittredge. Like my ancestors, Moran was a laborer who had come to Lowell from Ireland, in 1846. For nearly half a century, Moran worked for Kittredge, supporting his coal and wood businesses. Moran’s memories did not pre-date the construction of the Boston & Lowell railroad, but he did recall working with men who told him stories of the first coal being brought up the Middlesex Canal. Moran recalled the days in Lowell before residents understood coal’s ability to heat their homes. 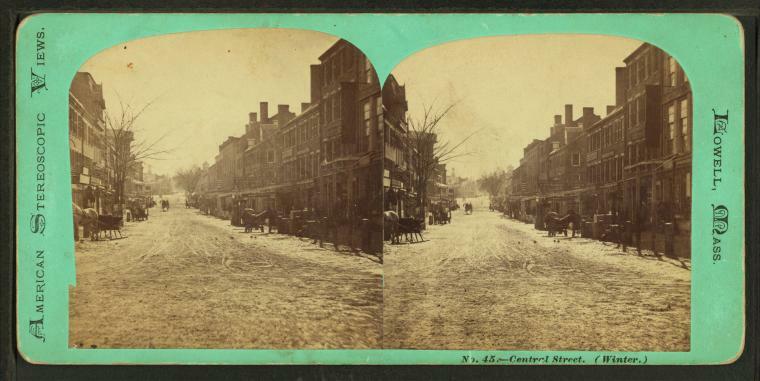 After Kittredge proved its worth to one Central Street merchant in an exhibition in his office, the merchant bought it on trial, put it in his grate at his Central Street office, and watch, frustrated, as the fire went out. Enraged, the merchant threw the coals onto his lawn, and then watched, dismayed, as his lawn caught fire and burnt out. Moran went on to recall the Lowell of the his younger years, including a Central Street with no sidewalks and lacking the Mansur and Canal blocks. In his earlier days, shanties stood on Central Street in their place, which housed a few “traders”. He recalled a Palmer Street before the Central Fire Station was built, and a pond that once occupied its site. He had, in fact, cut across the site on his way home from buying a suit one night and fell into that pond. Moran remembered a Lowell whose biggest restaurant was owned by Captain Marston and located in the Wentworth Block at the corner of Merrimack & Shattuck Streets. Marston’s restaurant was a draw for Lowell’s theatrical crowd, where the most fashionable actors and actresses of the age could be seen before and after they took the stage. 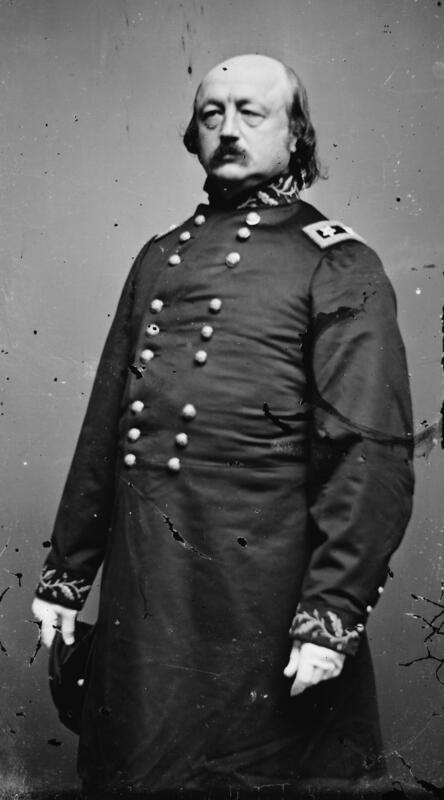 Moran’s memories also included a youthful General Benjamin Butler, who to men of his generation, was viewed as a good friend to Lowell’s Irishmen. He also recalled the construction of the Carpet, Prescott, and Massachusetts Mills. The ability to access living memories of those whose lives are long past allows us a glimpse into the lifetimes of our own ancestors. Reading accounts such as Michael Moran’s helps us visualize the Lowell of the mid-19th century, a time long lost from the living memory of society. From a historian’s perspective, it’s interesting and helps provide some context as to how contemporary citizens viewed the city and its development toward the end of the 19th century. For genealogists, these accounts help enliven our own family history records and put some context to our view of our ancestors’ lives. What did they see as they walked the streets of their cities? How did they view historical figures such as Benjamin Butler? For us Gen X’ers, living memories captured in old books and newspaper articles are a form, a fascinating one, of time travel.